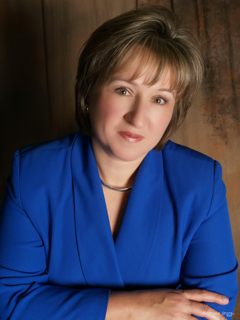 Donna Cardillo, a registered nurse and blogger for DoctorOz.com joins eHealth Radio and the Childrens Health and Nutrition Channels. Throughout her 30 years of experience, Donna has worked with children and adults to prepare for Back To School and she recommends probiotics during this time of year. Why is Back To School time particularly important to support your immune system? How exactly do probiotics provide immune health support? What are some other positive benefits of taking probiotics? What are some other suggestions you offer to parents for keeping their kids healthy during Back To School time? What do you recommend when picking a probiotic supplement? 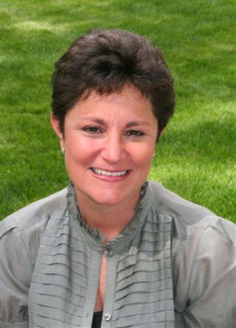 Donna Cardillo is a Registered Nurse with more than 30 years of diverse healthcare experience. Cardillo is known as “Dear Donna” on Nurse.com, where she provides daily online career advice for nurses and healthcare professionals. She is considered a thought leader on the role nurses play in healthcare. 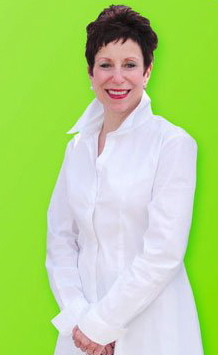 She is also an expert blogger for DoctorOz.com and is the author of three books. Cardillo holds a diploma in nursing, a BS in Health Care Management and a Master of Arts in Corporate and Public Communication. Dr. Dennis Hunt, Founder of ROCKSTAR White Teeth Whitening system, who has published multiple peer-reviewed papers on topics of clinical surgical techniques within the field of periodontics joins eHealth Radio and the Dental Care Channel. How do teeth become stained in the first place? Does the color of the tooth make a difference as to the ease of whitening? Another distinguishing feature of your retail product is the delivery system; your system uses trays how exactly does that work and why not whitening strips? 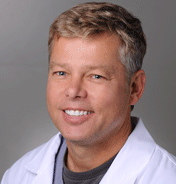 Dr. Hunt is a UCLA dental and periodontal graduate who has published multiple peer-reviewed papers on topics of clinical surgical techniques within the field of periodontics. 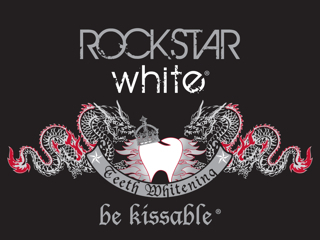 Several years ago he developed a teeth-whitening product called Rockstar White that is sold to the dental professional and to the consumer. 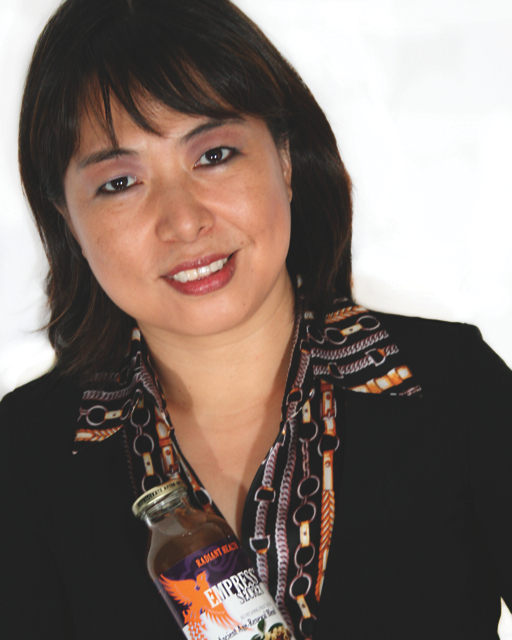 Lola Wei, Founder & CEO of Empress’ Secret™, makers of the all-natural Glow™ beverage that captures the delectable flavors and exotic ingredients and nutrients of ancient Chinese ingredients to renew and replenish the body with essential age-renewing vitamins and minerals joins eHealth Radio and General Health & Nutrition Information Channels. Estimated to reach $6.7 billion by 2015, the natural personal care market is booming with unique products, original formulations and newly discovered or re-discovered ingredients. Tell us more about how you formulated this unique all-natural beverage Glow™? How is Glow™ age-refreshing? How have you utilized Traditional Chinese Medicine (TCM) to formulate this drink? According to a recent anti-aging survey by Mintel, 76% of survey respondents concerned with aging reported being interested in products with natural or organic ingredients. Tell us about the all-natural ingredients used in Glow™. What are their health benefits? What does this beverage taste like? And how often should one drink Glow™? Where can someone purchase Glow™? How can they connect with Empress’ Secret through social media? Founded in 2012, SisDream, LLC was born from Founder & CEO Lola Wei’s desire to share the hidden treasure of natural age-renewal with the world. Empress’ Secret’s all-natural Glow™ beverage captures the delectable flavors and exotic ingredients and nutrients of ancient Chinese ingredients to renew and replenish the body with essential age-renewing vitamins and minerals. Providing a convenient way for women to renew their body, Empress’ Secret helps women of all ages unlock their bodies’ natural health, vitality and beauty through a delicious, unbeatable beverage blend. Lola Wei created Glow’s unique formulation through ancient Traditional Chinese Medicine (TCM) books that detailed centuries-old recipes used by the imperial empresses of old China. 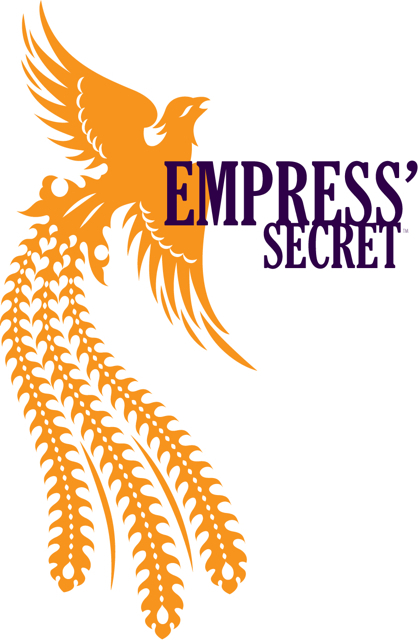 To produce the Empress Secret’s Glow beverage, Lola used the highest quality ingredients and brewed her traditional beverage in state-of-the-art facilities. Today the Empress’ Secret drink is produced by an ISO-certified facility and each batch delivers consistent flavor and nutritional benefits. To learn more about Empress' Secret, visit www.TheEmpressSecret.com and you can also find the Empress' Secret on Facebook as well. For media inquiries, hi-res images, or samples contact Rajan De Los Santos at Christie Communications through phone (805) 969-3744 or email rajan@christiecomm.com. Dr. Camilo Ruiz, a concierge medicine physician and sleep specialist who owns and operates the practice, Choice Physicians of South Florida joins eHealth Radio and the General Health & Health Care Channels. What is concierge medicine? Why did you choose to practice? Why is sleep hygiene so important? What does sleep tell us about our overall health? What are some points for Latinos to consider in keeping themselves healthy? How does sleep affect the heart? Dr. Camilo Ruiz (“Dr. C”) is a board certified internist and sleep specialist. Dr. Ruiz believes that education and communication are the keys to exceptional healthcare. He also places special emphasis on preventative medicine as well as sleep hygiene. Dr. Camilo Ruiz is a South Florida native, fluent in both English and Spanish. He grew up in Miami and spent a portion of his childhood in Colombia. His desire to become a physician stemmed from the passing of his father at an early age. Dr. Ruiz attended Florida International University with an Honors degree in Biological Sciences. At FIU, Dr. Ruiz was also extensively involved with research projects, which enabled him to develop a unique attention to detail. He then went on to graduate from Nova Southeastern University in 2007 with his Doctor of Osteopathic Medicine degree. After medical school, Dr. Ruiz completed a one-year internship in Obstetrics and Gynecology in Philadelphia, but soon realized in his time there that his true calling was Internal Medicine (and the sunshine in South Florida!). He served as Chief Resident for Internal Medicine from 2009-2011, and completed his Internal Medicine training and board certification in 2011. He also completed subspecialty training in Sleep Medicine and Disorders in 2013. Currently, Dr. Ruiz also serves as a Clinical Assistant Professor of Internal Medicine at Nova Southeastern University. The principles that Dr. Ruiz bases his practice style are those that he believes should be innate to all physicians. He believes that education and communication are the keys to exceptional healthcare. He regards listening as his most important tool and considers trust to be invaluable in his patient care relationships. Dennis McGuire, CEO of CodeBaby that enables companies in the benefits health insurance and provider healthcare industries to increase online customer engagement, drive conversion objectives, and improve online self-service to produce healthier outcomes and increased patient satisfaction joins eHealth Radio and the Healthcare and Technology Channels. Codebaby does this by using a combination of interactive web elements, decision support tools, and emotionally expressive, 3D intelligent virtual assistants. Tell us what is a virtual health assistant and why the need for them in healthcare? What types of applications can benefit from using a virtual health assistant? What are some of the main benefits providers will see from using a virtual health assistant and your decision support tools? How is this technology implemented on a hospital website or platform behind a firewall, and how does it stay HIPAA compliant? What are the types of providers that will benefit from using a CodeBaby solution? 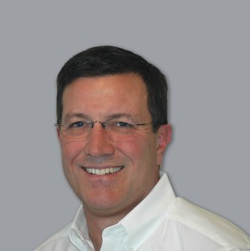 Dennis McGuire possesses over 20 years of experience developing innovative solutions for marketing, sales, and customer care organizations across multiple industries. He is consistently sought for insight on the trends, benefits, and uses of virtual assistants within the web self-service, benefits enrollment, and eCommerce space by major publications and analysts such as EBN, USA Today, CRN, Internet Retailer, CRM Magazine, Forrester Research, Gartner Research, IDC, and Loyalty Management among others. Dr. Lawrence Stern, a wellness chiropractor who specializes in Network Spinal Analysis, who has been in practice for almost 30 years joins eHealth Radio and the Chiropractic Care & General Health Channels. His office, Stern Wellness Center, is located in Cross River, NY. Can you tell us something about Network Spinal Analysis? What types of results do people see? What other services do you offer at Stern Wellness Center? What is something people could do today to increase their overall health and well-being? At Stern Wellness Center, we take a comprehensive wellness approach to ensure our patients achieve an optimal state of well-being. Utilizing the cutting edge diagnostic information provided by the COREscore system and Zyto Nutritional Testing Scan, Dr. Stern utilizes gentle, intuitive healing techniques such as Network Spinal Analysis (NSA) to restore, rejuvenate and sustain optimal well-being. Using a “team approach”nutritional consultations and programs, Reiki and SRI (Somato Respiratory Integration) from our team of healers may also be part of an overall wellness program. In the healing process, we first address your current health concerns and offer relief from complaints such as backpain, neck pain, generalized body pains, symptoms of Fibromyalgia, Rheumatoid Arthritis, Multiple Sclerosis, Parkinson's Disease, Lyme Disease and many other chronic conditions & disorders. Natalie Bauss, founder and CEO of Keeki Pure & Simple whose mission is to provide only the healthiest and safest cosmetics and body products for girls and women around the world joins eHealth Radio and the Skin Care and Beauty Channels. Keeki's products are earth and animal friendly. How did you start Keeki Pure & Simple? What made you decide to start a natural products company? Tell us a little bit about the types of harmful ingredients most skin care and beauty products often contain. What should we be avoiding? Tell us about your non-toxic nail polishes. What makes them non-toxic? What are the ingredients? Your polish color names are very clever. Tell us some of the names and how you chose those names? Talk about your Non-Toxic Nail Polish Remover and what makes it environmentally safe? You would never think something like nail polish remover could be healthy for you. Tell us about your lotions and sunscreens. It seems like more and more experts are constantly warning about the negative and even deadly affects of the sun. What can you say about your sunscreen and protecting our bodies from the sun? Natalie Bauss from Keeki Pure & Simple believes that when it comes to being healthy, what you eat shouldn't be your only worry. Our skin is our largest organ and it absorbs up to 60% of what we put in it. A few years ago, we discovered that there are so many harmful ingredients in many of the products we put on our skin every day…and even worst, they are getting absorbed into our bodies. That is why she has created Keeki Pure & Simple. Keeki provides only the healthiest and safest cosmetics and body products for girls and women around the world. We have chosen to offer products that are earth friendly and animal friendly. Keeki Pure & Simple has promised never to sacrifice on quality or safety of ingredients to make a profit.